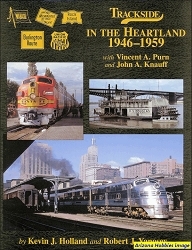 A WWII veteran returns to Granger Country in 1952 and records the end of steam and the early diesels on CB&Q, RI, Milwaukee, UP, IC and C&NW. Ranging from his home in Iowa, photographer Wilson also went into the adjoining states of Illinois, Wisconsin, Kansas and Nebraska. 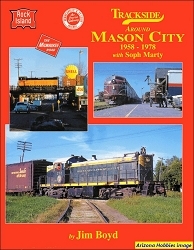 A nice chapter on the long-gone Southern Iowa Railway also! 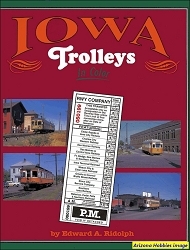 Includes many photographs from Muscatine, Iowa, the Quad Cities, Burlington, Iowa, Freeport, Illinois, the Omaha Road and Soo Line in Wisconsin, Council Bluffs, and other locations.